Most Game Of Thrones fans are resigned to waiting until 2019 to find out what happens in HBO’s hit show, but an Artificial Intelligence engineer has decided to take matters into his own hands. Recurrent Neural Networks use large amounts of data to train a model, which can then generate its own outputs. Thoutt used the first five Game of Thrones novels as input into his own novel-wring model, which then created a whole new book. And for something that was created by a machine, the novel feels pretty authentic. (You can read the first six chapters here). It was created by a model trained on George R. R Martin’s writing, so the text feels like something that could’ve been been written by him. It uses his characteristic descriptions and his old English, with characters referring to each other as Ser and My Lord, and constantly invoking the Gods. Lots of major characters make appearances. Thuott’s model requires a “prime word” to start off — it then sees how this word was used in previous books, and begins creating text around it. Thoutt uses major characters’ names to start off each chapter — the first Chapter begins with “Tyrion”, while other chapters start off with Arya, Varys and Jon. While the results are fairly impressive, the model does slip up once in a while. It doesn’t realize when characters are dead, so lots of long-forgotten characters show up – – Ned, who was dead at the end of season 1, ends up in a scene with Tyrion. The models also doesn’t seem to know how far characters are apart geographically, so they seem to keep jumping between locations, which ironically is a criticism that the actual writers of the show have also faced this season. 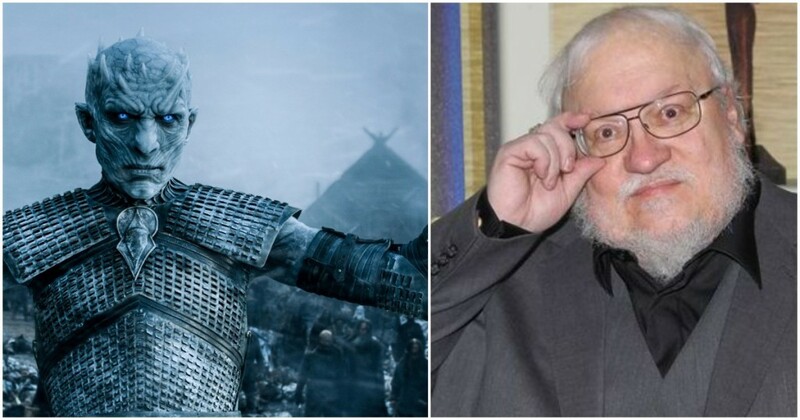 George R. R. Martin had better start work on his new books soon — looks like there are already AIs ready to take his job.